There is a beautiful Tibetan myth that helps us to accept our sadness as a threshold to all that is life-chaing and lasting. This myth affirs that all spiritual warriors have a broken heart—alas, must have a broken heart—because it is only through the break that the wonder and mysteries of life can enter us. So what does it mean to be a spiritual warrior? It is far from being a soldier, but more the sincerity with which a soul faces itself in a daily way. 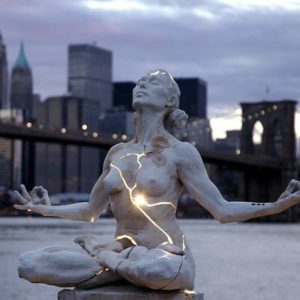 It is this courage to be authentic that keeps us strong enough to withstand the heartbreak through which enlightenment can occur. And it is by honoring how life comes through us that we get the most out of living, not by keeping ourselves out of the way. The goal is to mix our hands in the earth, not stay to stay clean. I keep breathing deeply through the breaking my heart. In daily ways, we are judged, discounted, and even pitied for glories that only we can affirm. In the end, life is too magnificent and difficult for us to give away our elemental place in the journey. At some point in our lives, almost every one of us will have our heart broken. Imagine how different things would be if we paid more attention to this unique emotional pain. 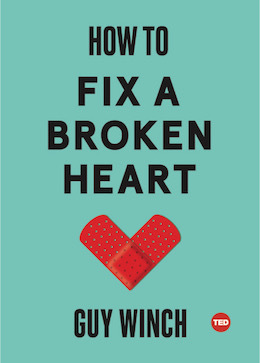 Psychologist Guy Winch reveals how recovering from heartbreak starts with a determination to fight our instincts to idealize and search for answers that aren’t there — and offers a toolkit on how to, eventually, move on. Our hearts might sometimes be broken, but we don’t have to break with them.